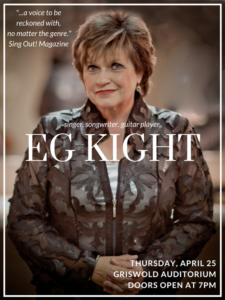 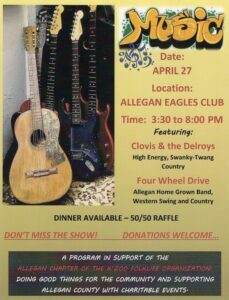 Join the Allegan County Community Foundation as they recognize the incredible organizations and individuals that provide health and human services, art and culture, economic development and environmental improvements for Allegan County residents and visitors. 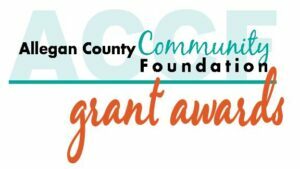 The ACCF Grant Awards are on Tuesday, April 23rd from 3:00 - 4:45 pm at the Regent Theatre in downtown Allegan. 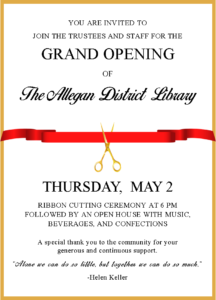 An open house will follow at the Foundation, 113 Locust St., downtown Allegan. 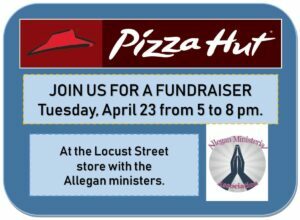 Allegan Pizza Hut, 107 Locust St. 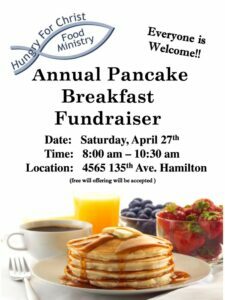 The Allegan Ministerial Fund assists families within the 49010 ZIP Code during times of urgent need with utilities, rent, and gas cards. 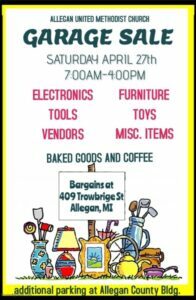 Griswold Auditorium, 401 Hubbard St.
Allegan United Methodist Church, 409 Trowbridge St.
Hungry for Christ, 4565 135th Ave.
Allegan Eagles, 110 Chestnut St.
Allegan Antique Market exhibitors carry a large variety of antiques and collectibles with many specializing in glass, pottery, china, primitives, advertising, vintage jewelry, sport & fishing, furniture, and much more. 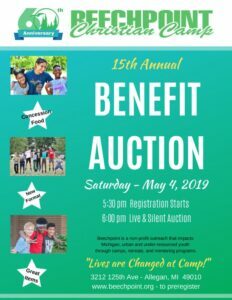 Camp Beechpoint, 3212 125th Ave.